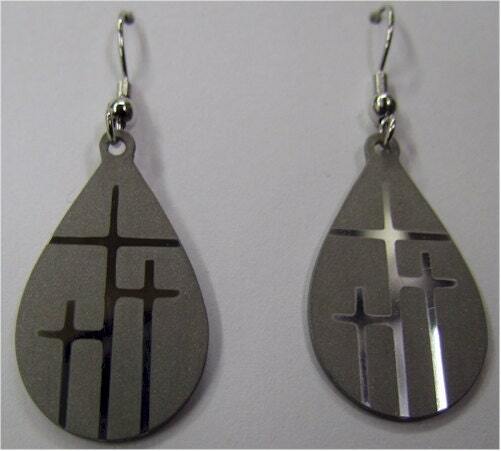 Silver Tiny Teardrop Calvary 3 Cross Earrings and Cross Necklace Set. 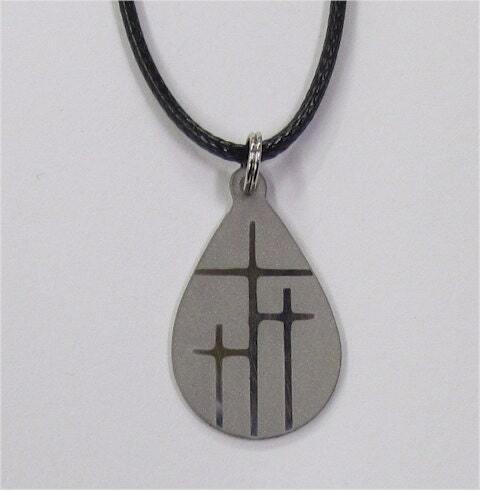 Each pendant is all stainless steel. 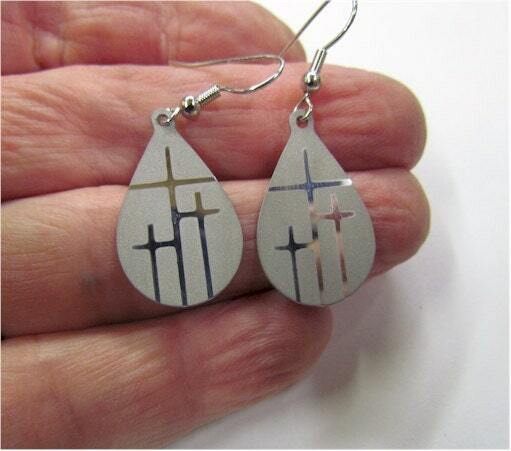 At the bottom of the ear wires these fashion earrings measure 1” long x 1/2” wide. . A Saint Michaels Jewelry exclusive design that you will find no where else! 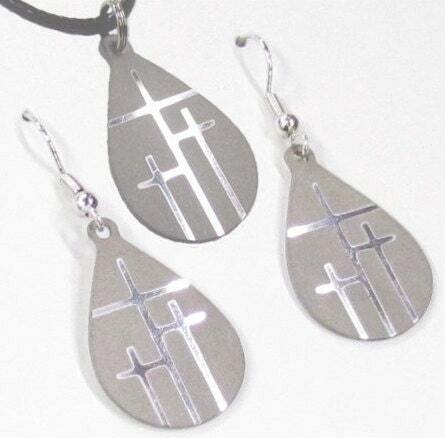 The Cross Necklace comes with a complementary 18" Black Cord and the Cross Earrings come with complementary ear wires and backs.